So, y'all know I'm definitely not a health food fanatic. We try to eat lots of veggies and avoid yucky things like saturated fat and trans fat and sodium, but you won't see me buying chia seeds or protein powder or whatever, and I can't seem to make myself enjoy Greek yogurt. Paleo, Whole30, and whatever other diets are cool these days... I don't really do that stuff. BUT - I do have a large jar of coconut oil in my pantry because I love to make these coconut chocolate chip cookies, so when I got asked to review a new cookbook that would tell me what to do with all the leftover coconut oil, I was totally excited. 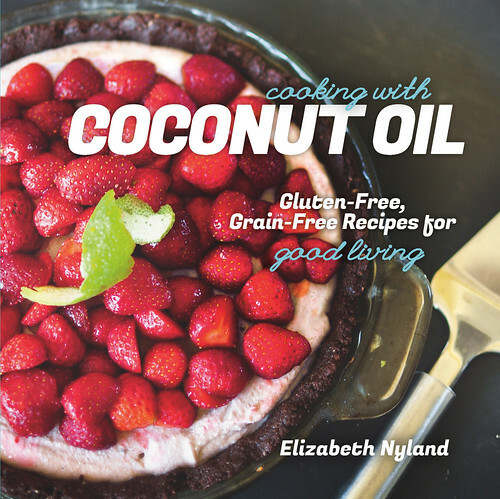 There's this cute new cookbook called Cooking with Coconut Oil by Elizabeth Nyland, and it's kinda sorta AMAZING. It turns out there are lots of wonderful health benefits to be gained from coconut oil, and cooking with it is tasty, too! 1. Make the compote: In a small saucepan, combine all compote ingredients and set over medium heat. 2. 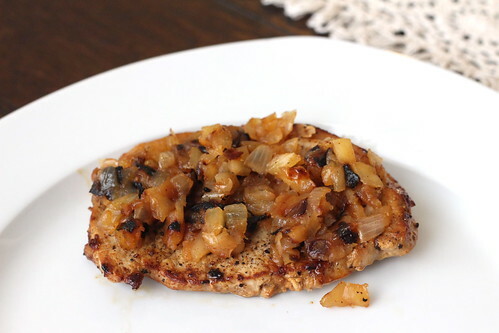 Cook, stirring occasionally, 35 to 45 minutes, or until a sauce-like consistency is reached and apples and onions are soft. 3. Meanwhile, make the pork chips: Preheat the oven to 400 degrees Farenheit and place a heavy baking tray in the middle rack. In a heavy, cast-iron pan, melt the coconut oil over medium-high heat. 4. 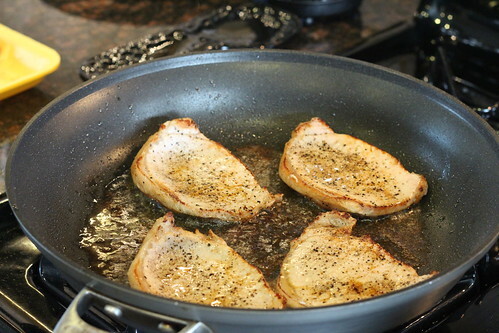 Season the chops on all sides with salt and pepper. 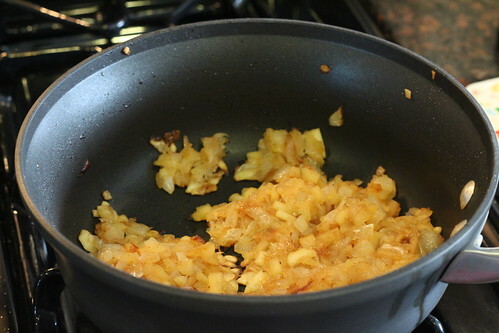 Place in hot pan and sear for 3 to 4 minutes per side. Transfer to oven and allow to cook for approximately 10 minutes or until a thermometer inserted into thickest part of chop reads 145 degrees Farenheit. 5. 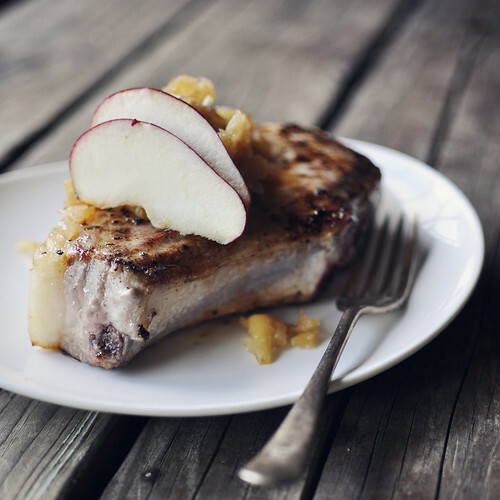 Serve compote over pork chops. The rest of the cookbook looks delicious as well, and I can't wait to try more recipes. Lots of coconut fun! Oh, and you should consider buying to cookbook - you can find Cooking with Coconut Oil on Amazon! You make this look so easy, but mine would never turn out that way!